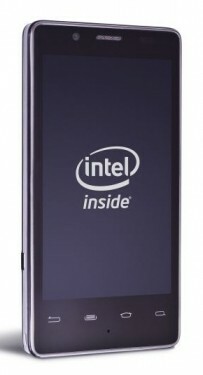 Motorola Mobility has revealed plans to announce an Intel-powered smartphone at a media event scheduled for September 18. The unveiling will take place in London as Intel looks to gain a larger share of the booming mobile chipset market largely dominated by ARM-based processor manufacturers such as Nvidia and Qualcomm. Plans for an Intel-powered phone from Motorola were first announced at the Consumer Electronics Show back in January but of course this won’t be the first Medfield handset to hit the market. Lava, Lenovo and Gigabyte all have Intel-powered phones on sale now but they haven’t gained much traction yet, especially in the US. A solid offering from Motorola could change that, however, as Intel says they are preparing to focus on the user experience and responsiveness of their devices and less about sheer speed. Intel is the worldwide leader with regards to desktop and notebook CPUs but they’ve admittedly fallen behind in the mobile handset race. There’s a lot of ground to cover if they wish to become competitive with ARM but if anyone is capable of pulling it off, it’s likely Intel. September is shaping up to be a huge month for mobile handset makers and consumers alike. Nokia and Microsoft will be announcing the Lumia 820 and 920 on Wednesday, the same day that RadioShack will be introducing their No-Contract Wireless service in the US. Apple is widely expected to launch the new iPhone and possibly the iPad Mini on September 12.